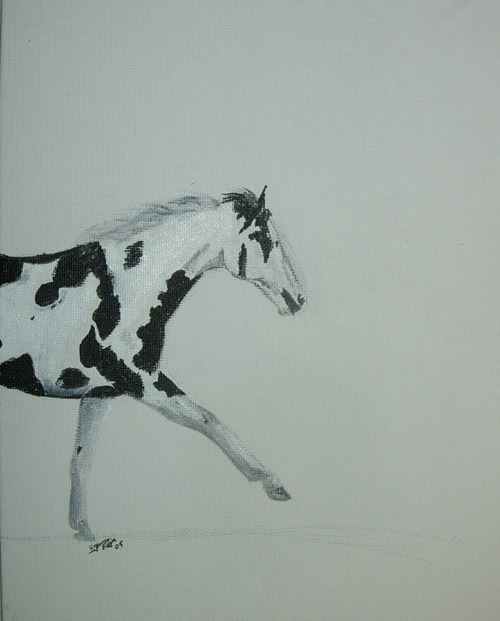 We have our own resident artist here on the ranch! 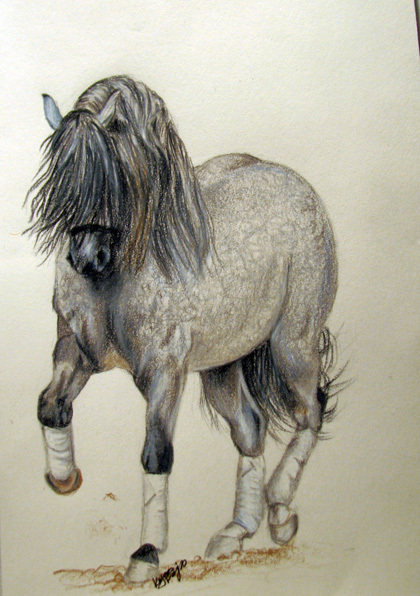 Kyanna creates memorable works of art, using graphite, acrylic paint or colored pencils. 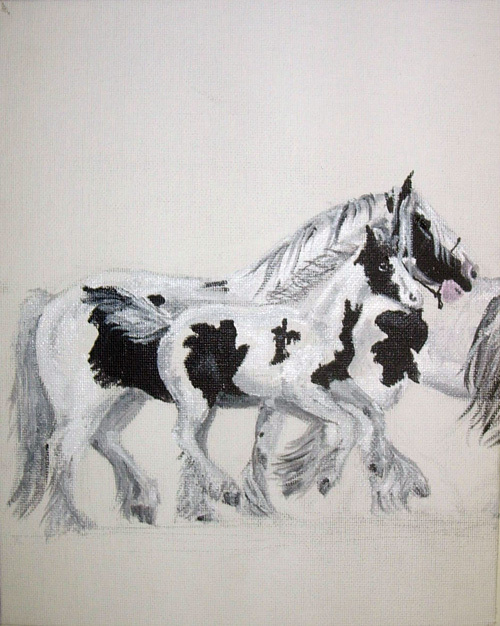 Many of the works feature horses. Here is a quick look at some recent and not-so-recent pieces she has completed over the years. A more complete and updated gallery will be uploaded soon, so check back! We would love to hear your comments and questions as well! 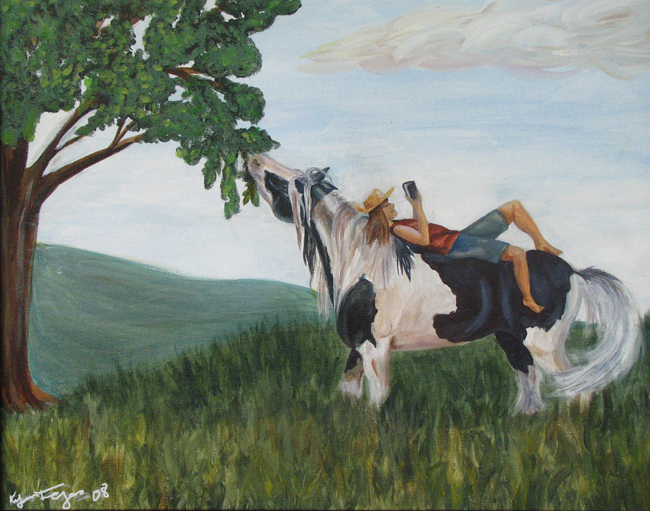 Kyanna sells prints and originals on eBay, as well as directly through this site. You can read more about the art here. 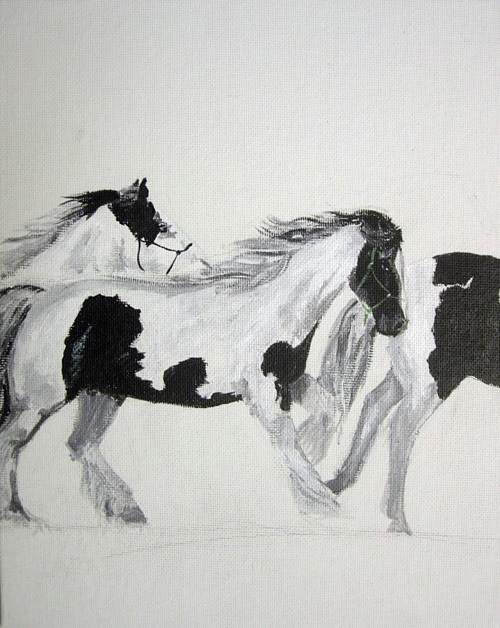 IF YOU WOULD LIKE A PAINTING OR SKETCH DONE OF YOUR HORSE (OR OTHER ANIMAL), PLEASE CONTACT KYANNA. SHE WOULD BE VERY HAPPY TO DISCUSS THINGS OVER WITH YOU AND COME UP WITH A PLAN TO SUIT WHATEVER IT IS YOU HAVE IN MIND! I've just begun taking orders for holiday cards! 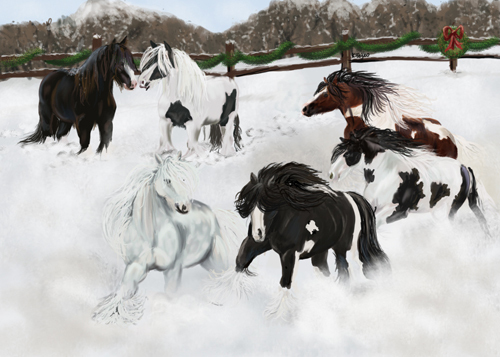 Take a look at this one I did for Atchen Tan Gypsy Cobs, featuring Fion, Eimear and Morningstar! 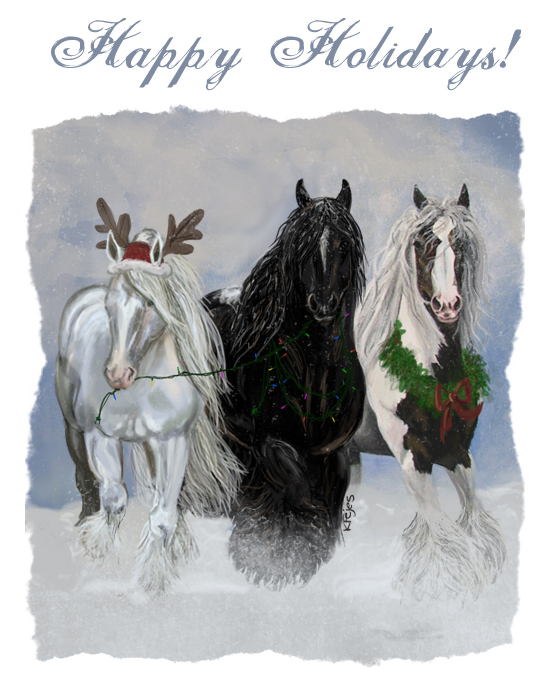 If you are interested in ordering a custom holiday card for your farm, or have any questions about this service, please email me at savvypnh@gmail.com. 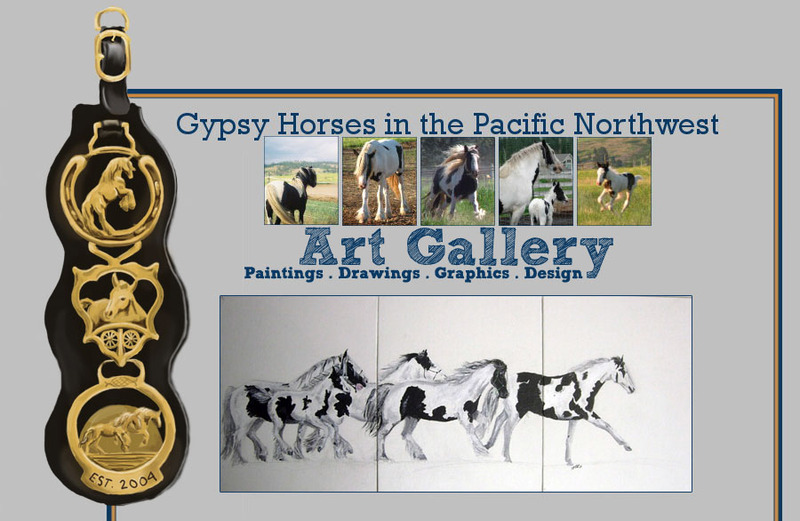 The “Midnight Sun Carousel” series is based on the horses at Midnight Sun Ranch in Washington State. 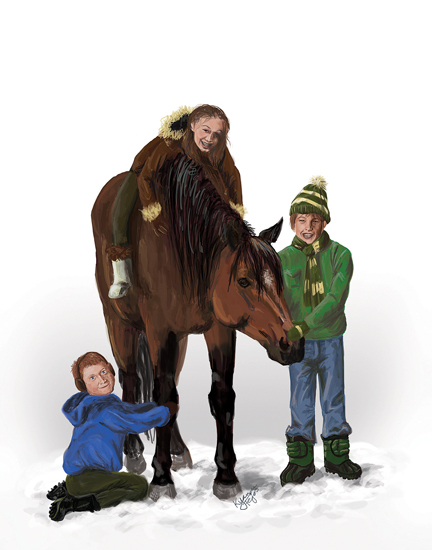 Launched in Fall 2009, the series will depict each of the 15 horses in unique styles and themes. 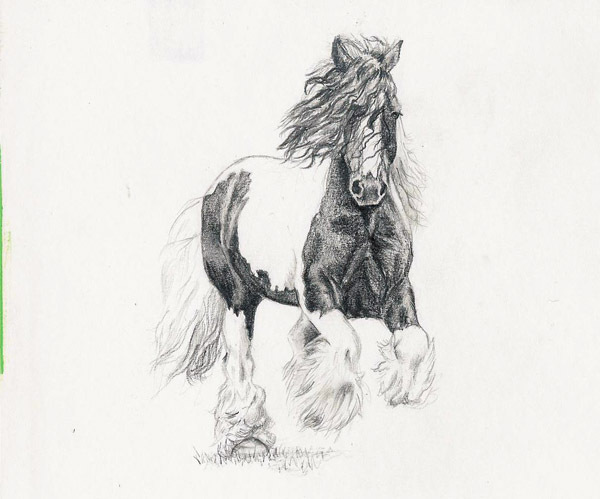 Every horse has distinctive characteristics and the paintings were with done with this in mind. Our E-Bay store is now up, please go visit and bid HERE. If you do not see a design that you want, please email and let us know! Please enjoy these previews but do not use them in any way without permission!